Dental Emergencies on Medicaid: Are You Covered? Life happens and sometimes it happens when you least expect it. Dental emergencies can sneak up on you or your family at a moment’s notice. They can come from an injury or accident or they can happen because of a problem in your mouth you didn’t even know you had. If you have Medicaid for you or your family members, you don’t have to worry about finding an emergency dentist that takes Medicaid. Ohio Medicaid covers dental emergencies for children and adults. At Beechcroft Dental, if you’re experiencing a serious issue or dental emergency, we can help by providing care day or night. Dental emergencies can come in many forms. Most commonly, people get into accidents or have injuries that affect their teeth or gums. Kids fall off their bikes or run into something while adults can have sports injuries or more serious events like vehicular accidents. 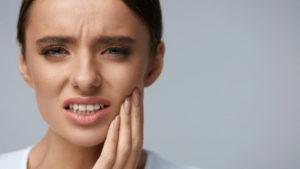 Other times, people experience infections or something like a cracked tooth that turn into emergencies with excruciating pain that comes out of nowhere. Leaving these symptoms untreated can seriously impact your health. That’s why you shouldn’t hesitate if you’re having a dental emergency and have Medicaid coverage. In Ohio, dental emergencies are covered under Medicaid. At Beechcroft Dental, we help patients with Medicaid when they are most in need. Our emergency services page can help you find out what you need to do in the event of an emergency. We can provide help during daytime business hours or after hours through our on-call line. Regardless of whether you’re a new or existing patient to our offices, we can help you during a dental emergency and get you back on your feet. If you’d like to get more information about Beechcroft Dental’s services for those with Medicaid, or want to schedule an appointment to become a patient, contact us online or over the phone today. We are committed to helping patients have the best possible smile and help them in their times of need.